The initiative "Knowledge and Partnership Bridges" aims to make the best possible use of the knowledge and experience of Greeks living abroad while connecting them with the country. After just a few short months in operation, we have the first example of Greeks networking through the "Knowledge and Partnership Bridges". 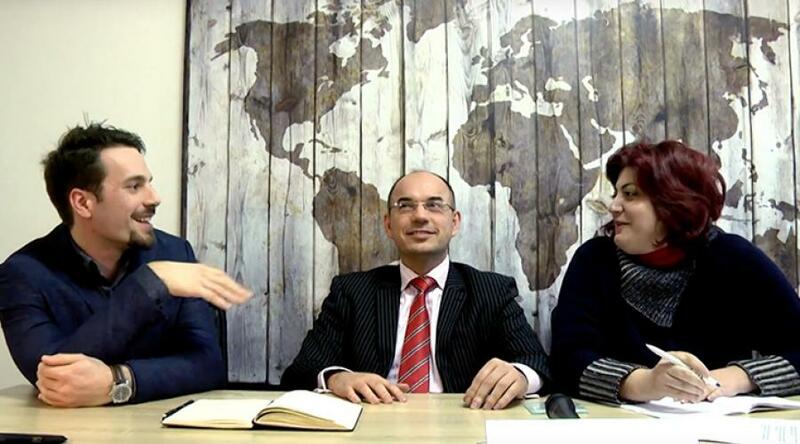 Ilias Lappas, Professor of Aeronautics in Wales "met" Ismini Stroumbou and Alexandros Papacharalampous, co-founders of the Greek engineering consultancy start-up "Aethon", through "Bridges". As a result of discussing possible ways of co-operating, they decided to jointly submit a proposal for Horizon 2020. The idea of the proposal is to develop improved common training techniques for use in the air, on board and on the ground. The Greek pilot training company "Egnatia Aviation", with which Ilias Lappas collaborates, is taking part in this endeavour. Ismini Stroumbou explained that she decided to use the platform, following the advice of a friend working for the Enterprise Europe Network. Searching for potential partners that could help their developing company, the co-founders of "Aethon" linked up with Ilias Lappas, who, after 14 years in the Greek Air Force and 4 professional years in Wales, was also looking for new challenges in his career. When asked about the usefulness of the "Knowledge and Partnership Bridges" platform, Ilias Lappas, Ismini Stroumbou and Alexandros Papacharalampous said that the potential it gives Greeks to communicate, exchange ideas and launch partnerships is extremely important for both themselves and the country. They pointed out that in the difficult times the country is going through, "Bridges" inspires optimism among Greeks to do positive things even under difficult conditions. The initiative "Knowledge and Partnership Bridges", being implemented by the National Documentation Centre in co-operation with the General Secretariat for Strategic and Private Investment, Ministry of Economy and Development, aims to make the best possible use of the knowledge and experience of Greeks living abroad while connecting them with the country. Using a realistic but imaginative approach, the objective of the initiative is to bring high quality Greek personnel together, and create collaboration links between them. Greeks networking in this way can strengthen the growth prospects of the country and ensure that participating Greeks become part of a joint endeavor. The platform www.knowledgebridges.gr, operates on three pillars: a) the networking and subsequent partnerships through the creation of a global network of Greek scientists, professionals and entrepreneurs, b) updates on funding opportunities in Greece and 3. the mapping of Greeks who live and work abroad.